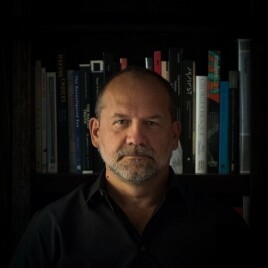 (born in 1962) – artistic director of the Conrad Festival, literary critic, essayist, columnist, professor at the Jagiellonian University, head of the Department of Polish Language and Literature at the Illinois University in Chicago. From 2002 to 2004, he taught at Harvard and Northwestern universities. Author of over a dozen books combining literary, philosophical and anthropological topics, including: Anatomia ciekawości; Występek. Eseje o pisaniu i czytaniu; Czarny nurt. Gombrowicz, świat, literatura; Nieobliczalne; Polska literatura nowoczesna. Leśmian, Schulz, Witkacy; Życie na miarę literatury; Słońce, możliwość, radość. Winner of many awards, including the Kościelski Foundation Award and the Alexander Brückner Award. He has translated, among others, the works of Roland Barthes, Jacques Derrida, Julia Kristeva, Emmanuel Levinas, Jean-François Lyotard, Richard Rorty, and Marcel Proust. For three years, he worked as a host of literary shows on public television. Dzień na ziemi. Proza podróżna (2014) combines literary fiction, essays on travel and photographs, while Kiwka (2015), nominated for the Gdynia Literary Award, covers the issue of freedom of creation, serious irony, translation and literary fiction. Winner of the Literatura na Świecie Prize, as well as the Kazimierz Wyka Award. Nominated for the Kościelski Award for Anatomia ciekawości. Editor of the American magazine The Slavic Review and co-editor of the Książki w Tygodniku Literary Magazine.